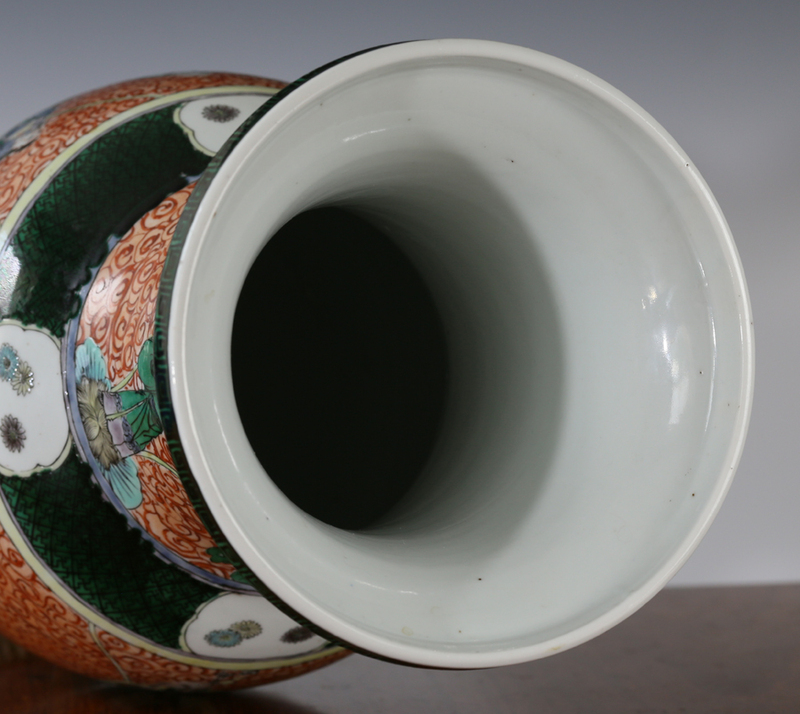 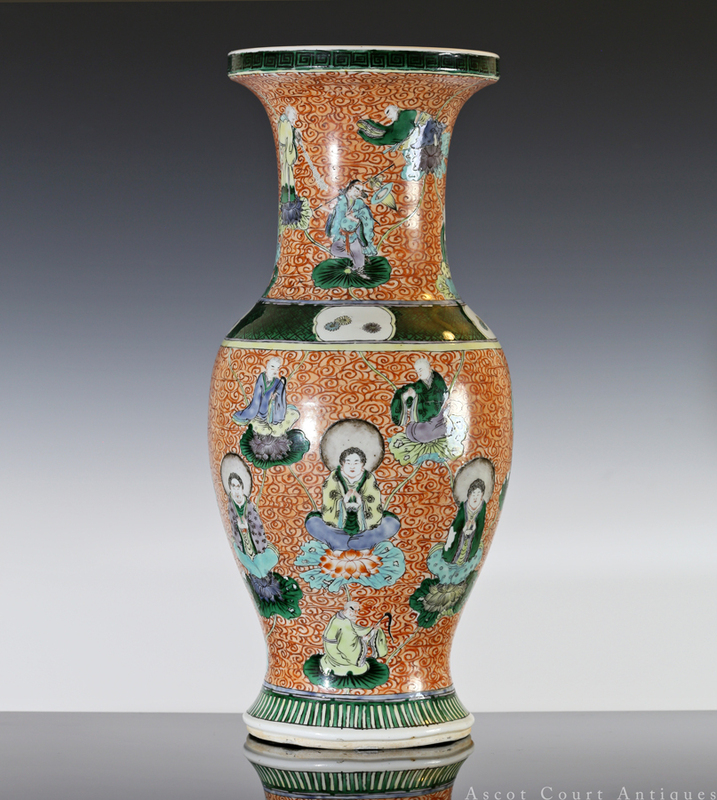 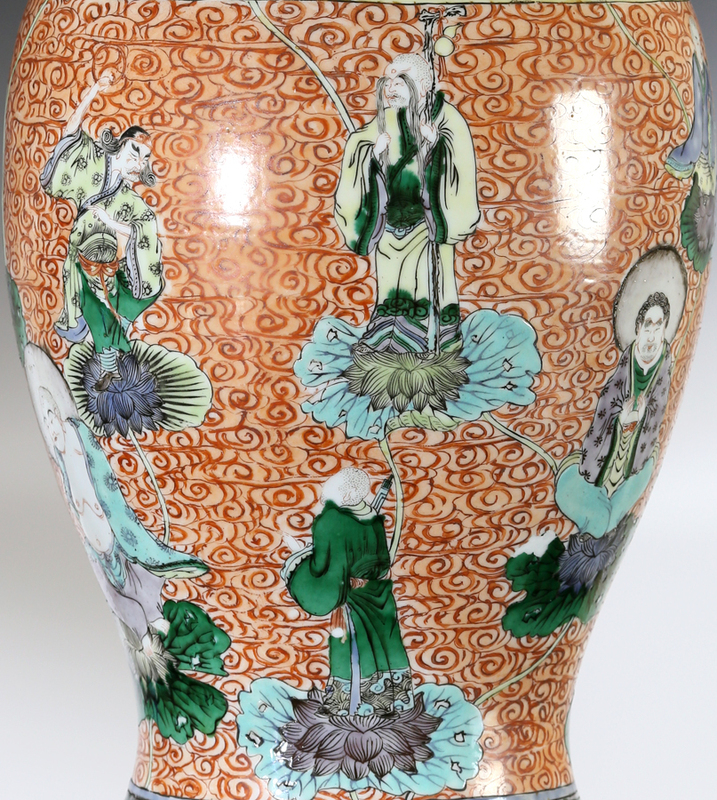 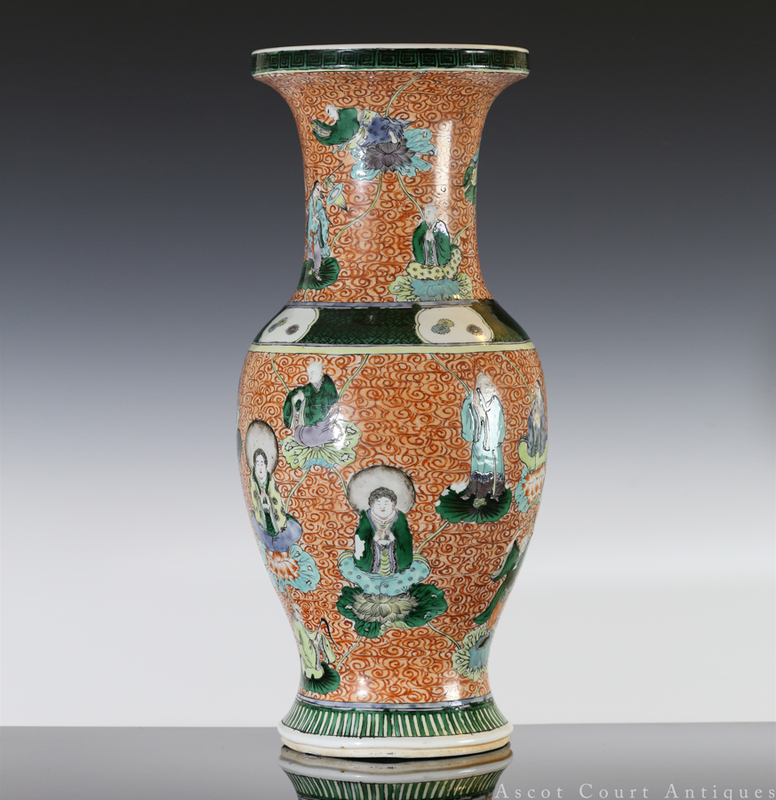 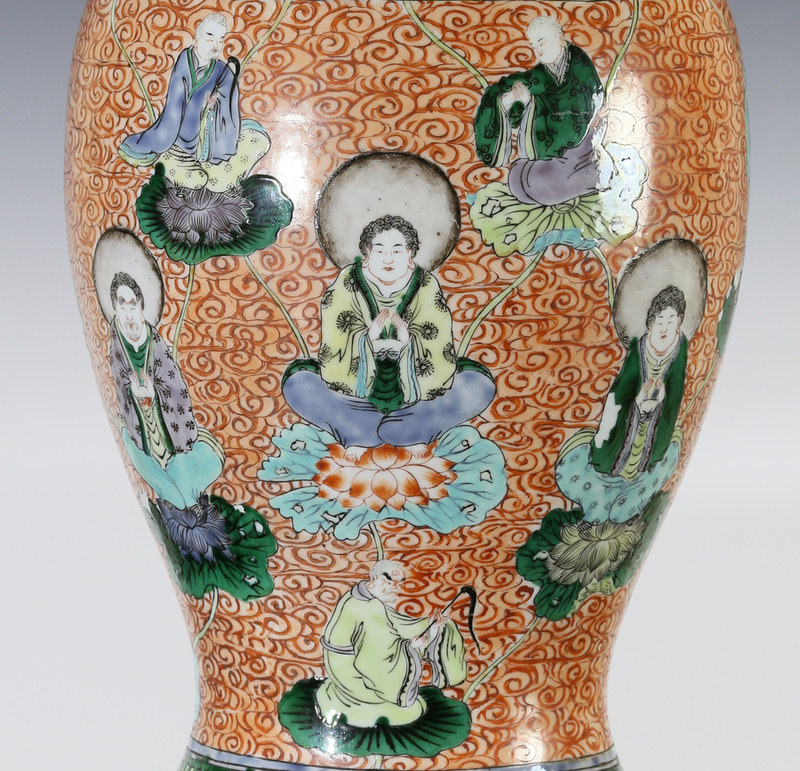 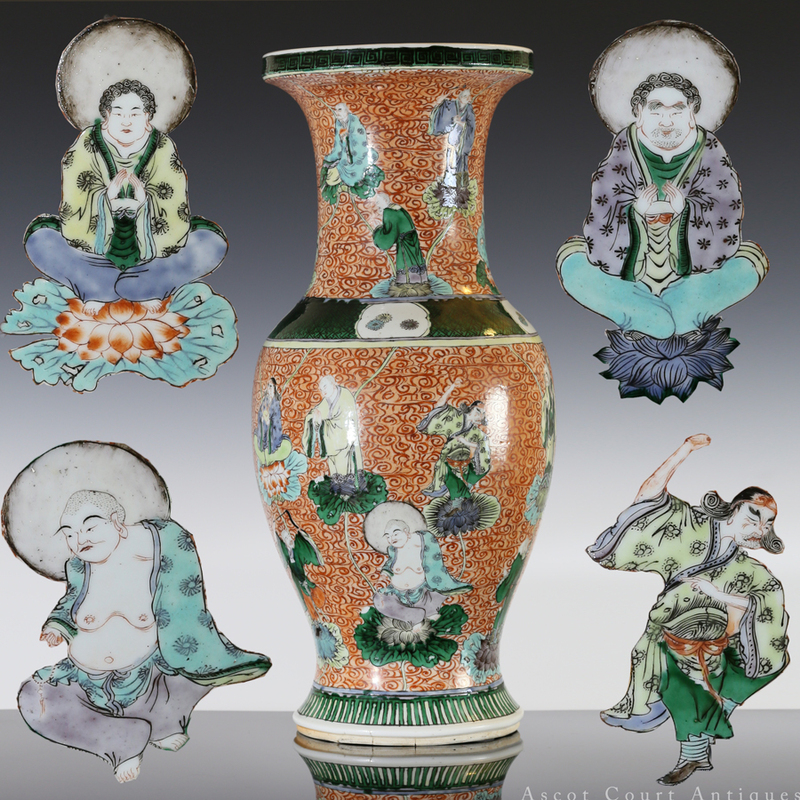 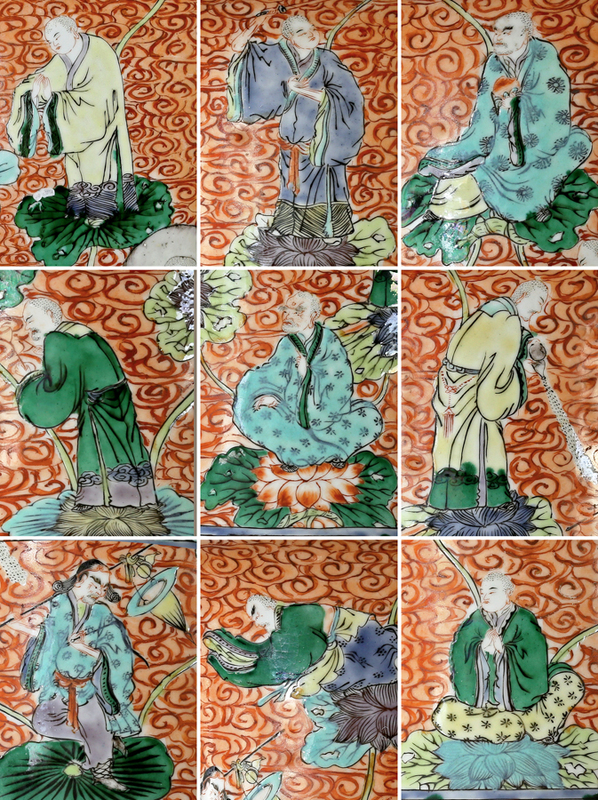 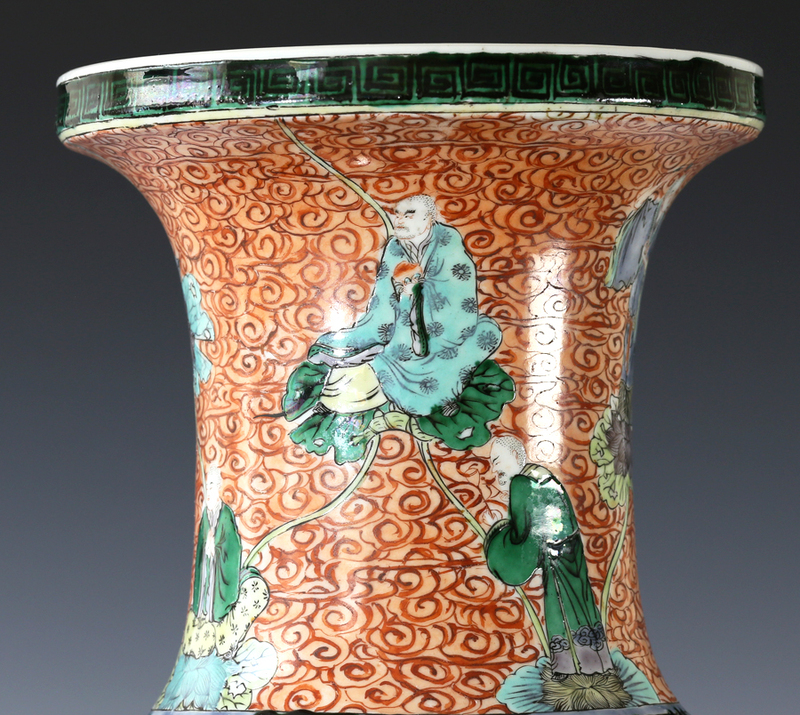 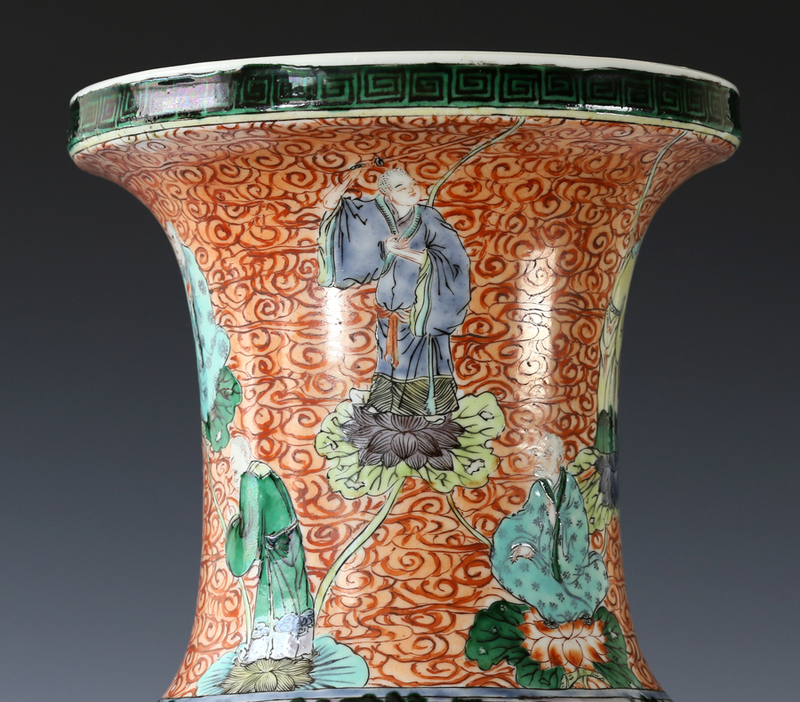 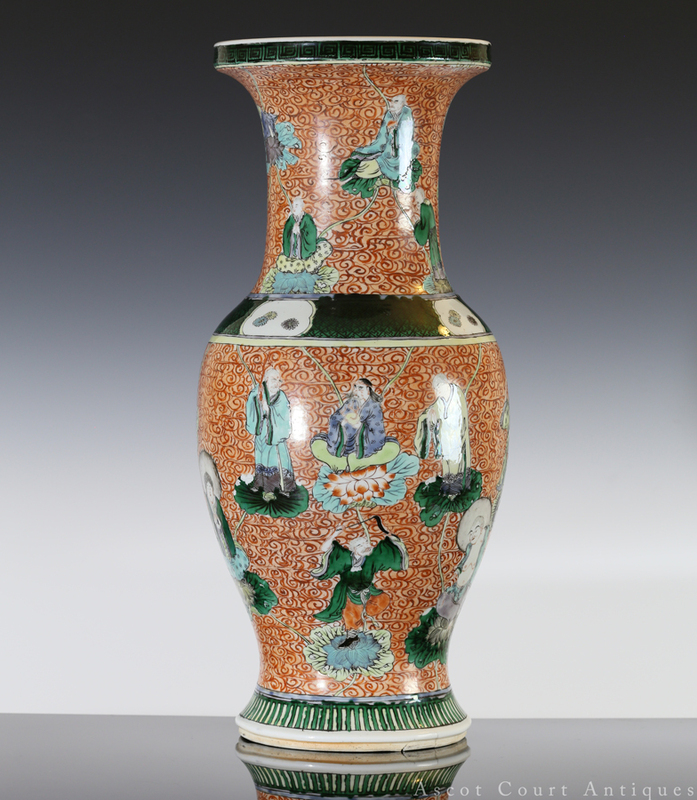 A large and fantastic 19th c baluster or yen yen vase, enameled in the famille verte palette with eighteen different individual luohans and four unique depictions of Buddha. 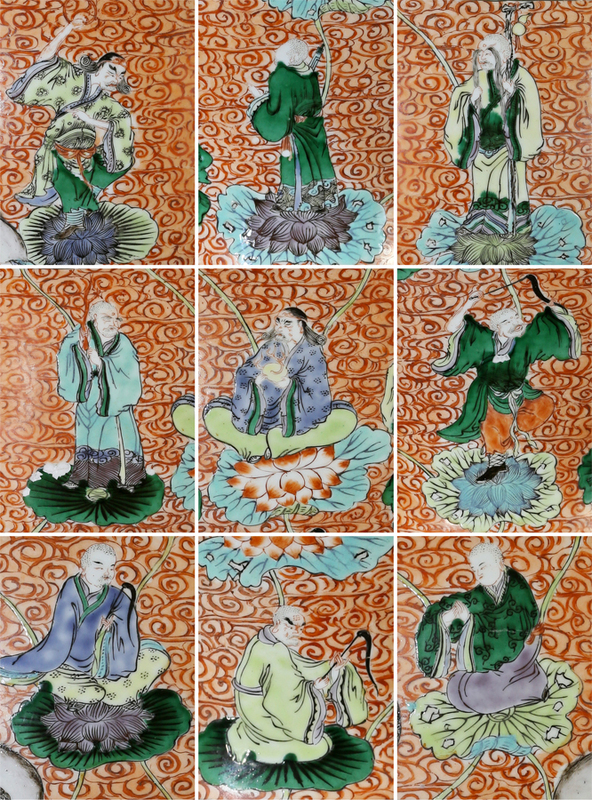 The attention to detail is superb, with each luohan sporting different colored-combination of clothes, facial features, poses, and accessories. 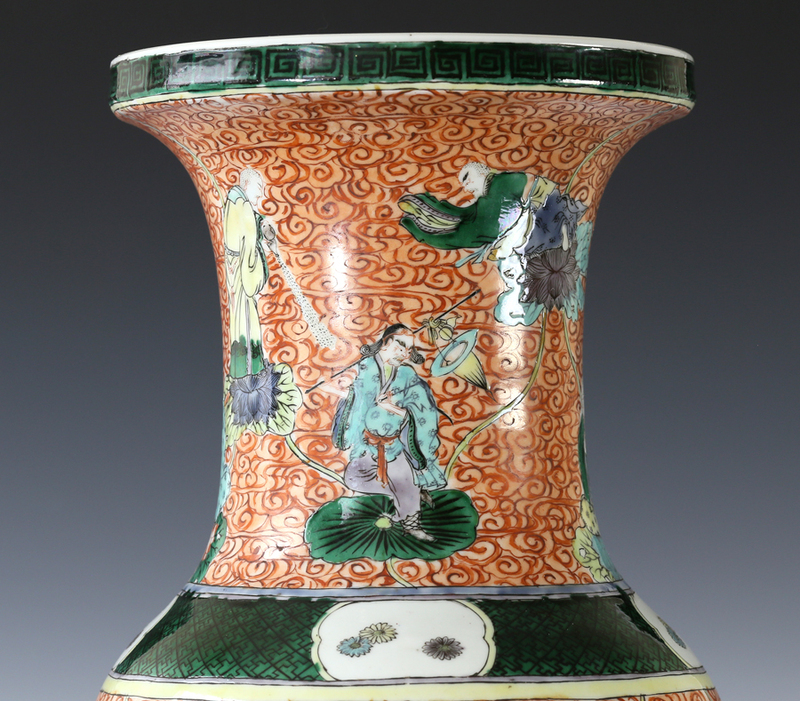 The entirety of the vase is further completely painted with an iron-red ground of swirling clouds, leaving every area of this vase completed decorated. 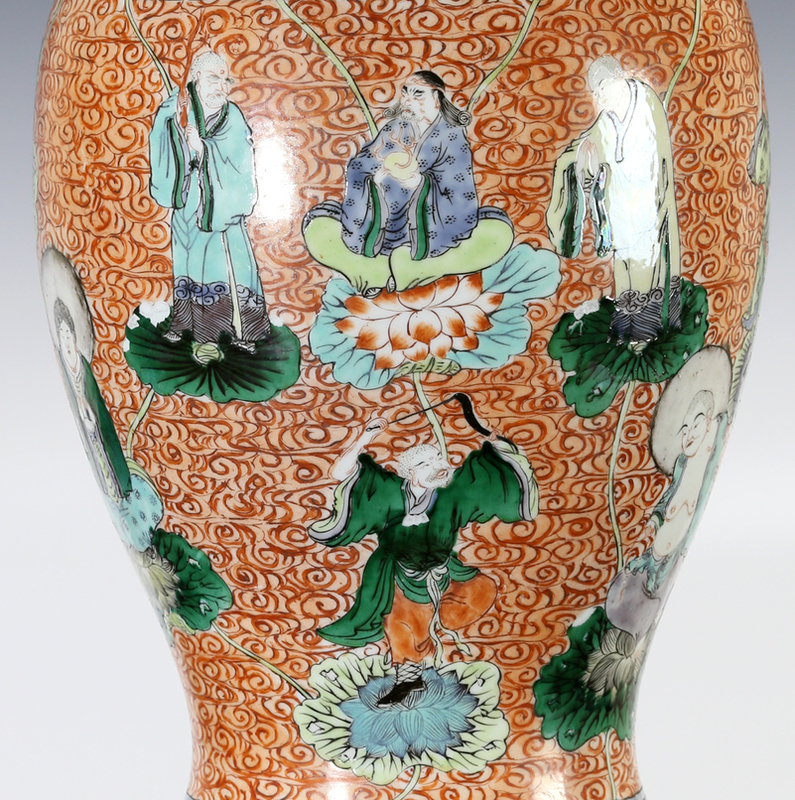 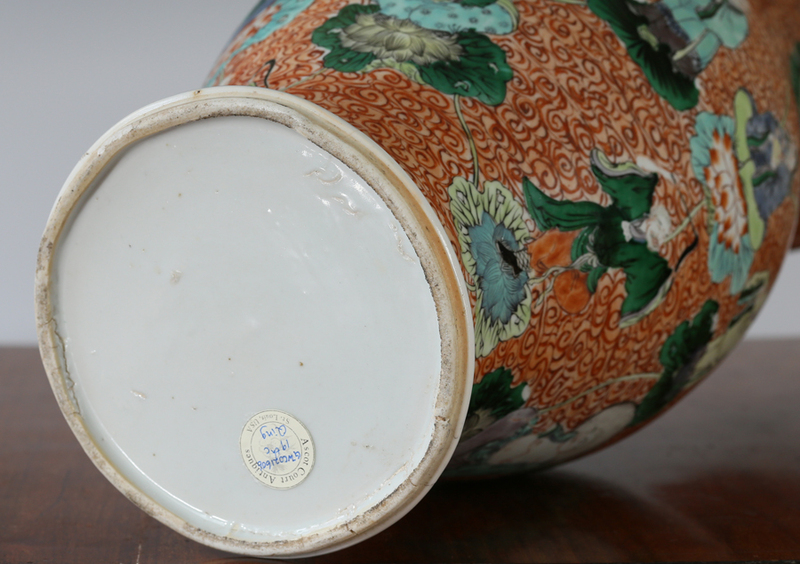 It is rare to find 19th c vases of this artistic quality and condition.